When you bring home the venison or turkey, whether you’ve acquired it in a fair chase hunt or just from a little hunt down at the local supermarket, once its prepared and roasted and takes its rightful place at the head of the table its nice to complete the display of the feast by carving it with a knife that has a unique character. For my family turkey carving tradition I use a nice folded steel wakisashi made by Zhou Zheng Wu who is widely regarded as China’s top sword-smith. The wakisashi’s 21″ blade is however a tad long for the carving job so once the breast meat is carved I switch over to something a little smaller and easier to work with. Sakai Takayuki 45-Layer Damascus (Antler Handle) Chef Knife (Gyuto) 210mm. Having a carving knife that adds to the ceremony of carving the turkey or other game makes the whole thing that bit more special; and of course for those of us who love hunting that carving ceremony is going to occur rather more often than just at Christmas and Thanksgiving. The knife we use for carving should be something that is a unique expression of what we really admire in a knife and for me I tend to really like the cutlery works of art that emanate from the Land of the Rising Sun. 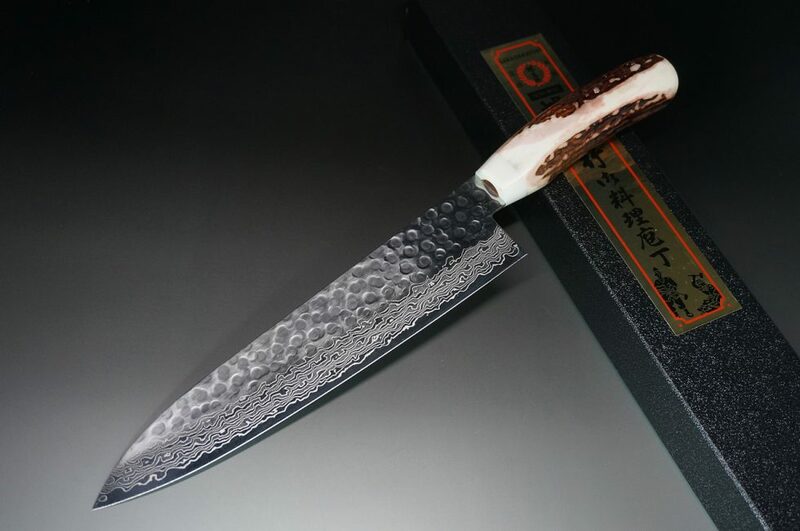 Sakai Takayuki 45-Layer Damascus (Antler Handle) Santoku Knife 180mm. 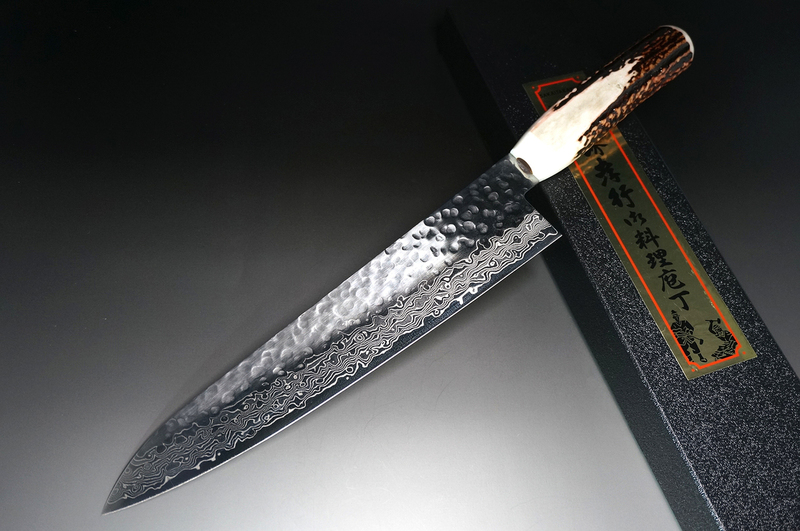 The Japanese have been working with folded steel for a very long time, over a millennium, and Japanese knife maker Sakai Takayuki have been in the knife making craft for a full six hundred years. They make quite a range of knives in designs that are so pretty you may want to have a few sets decorating your walls as well as your kitchen. 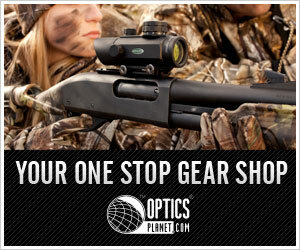 Importantly they are not just pretty nor are they just pretty sharp. These are crafted works of the cutler’s art made from Swedish steel folded and hammered into objects of beauty. 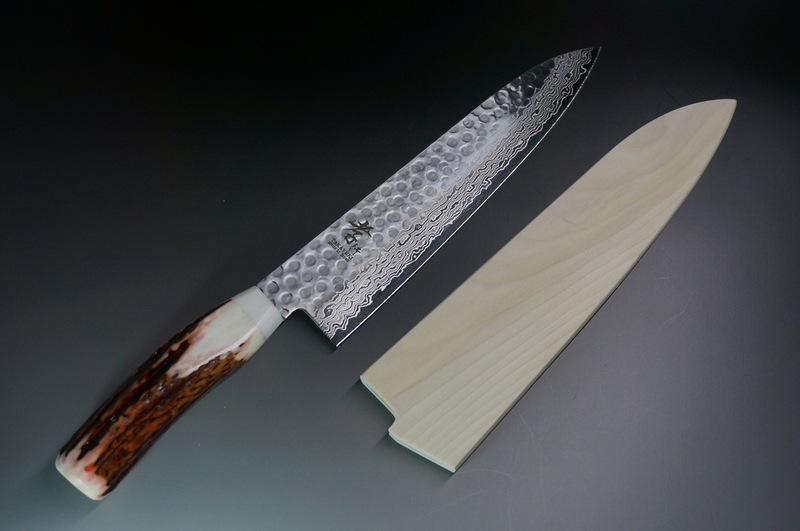 Sakai Takayuki 45-Layer Damascus (Antler Handle) Chef Knife (Gyuto) 240mm. We have featured Sakai Takayuki 45 layer Damascus knives with deer antler handles as might appeal to the hunters out there although there are a number of other styles, some less expensive and some more expensive. But if you are looking for a stylish carving knife that might just become a family heirloom and center of a family tradition then these antler handled Sakai Takayuki are worth a serious look. 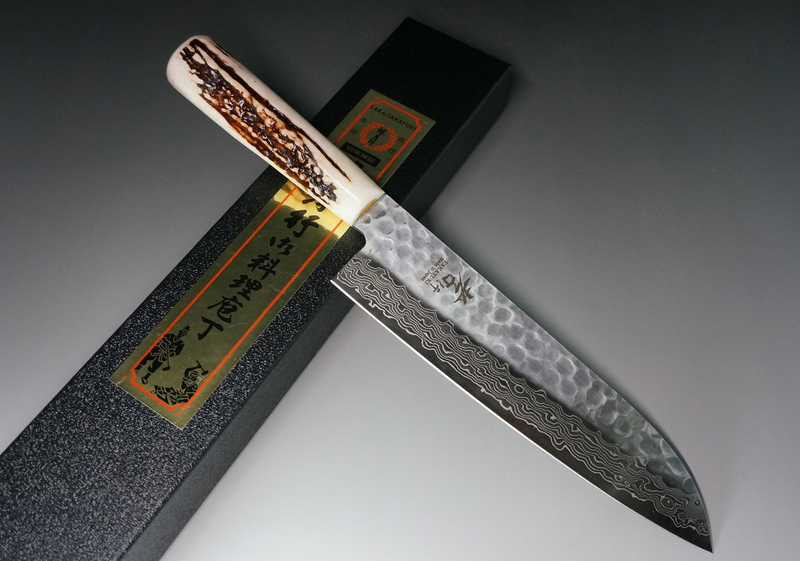 You can find this series of Sakai Takayuki 45 layer Damascus knives at Hocho Knife if you click here. You can also find Sakai Takayuki knives at Amazon if you click here. 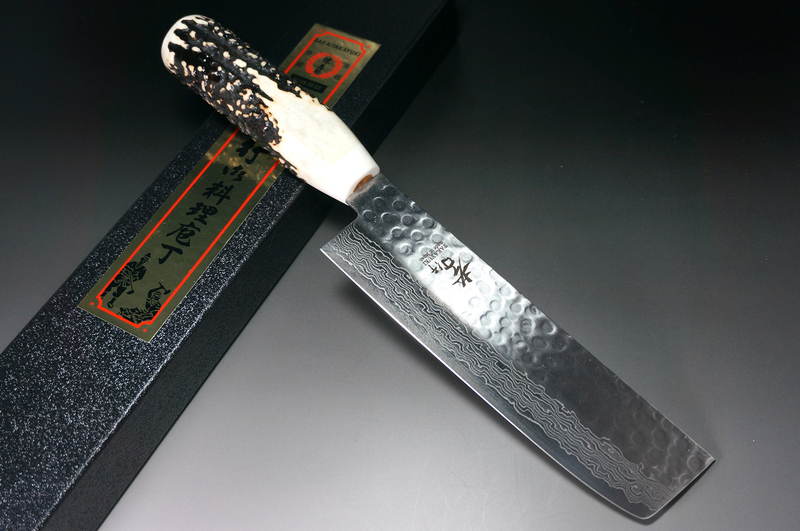 Sakai Takayuki 45-Layer Damascus (Antler Handle) Vegetable Knife 160mm. (All pictures courtesy Hocho Knife hocho-knife.com).